Welcome to a brand new blog post! I thought, that today, I would talk to you all about another amazing fragrance, that I've been loving at the moment. 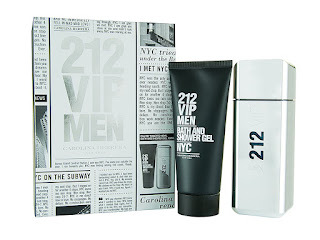 Carolina Herrera 212 VIP Men. If you can cast your mind back to the beginning of the year, I wrote a blog post about the amazing Limeyard within White Rose Centre. The person that I brought along to the event, was wearing this exact scent, so, the following week, I decided to check it out with another great female friend within Boots. Whilst we were slowly making our way through the thin white aisles, we found our way to the scent, and I realised that it was on offer! I uhmed and ahhed, and after a while, I bought it due to the gift set of the fragrance being on a great offer. Top notes: Vodka Zubrowska, Caviar, Lime. Vodka sounds weird in a fragrance, I know, but it adds a spritzy note to the fragrance, which reminds me instantly of Summer. Caviar adds a deep note to the scent, and Lime adds a refreshing kick which works in tune with the Vodka, to give the fragrance a real Summer vibe, as soon as you spritz this onto the skin. I love how the Heart/Mid Notes are a complete juzposition of the light and refreshing Vodka and Lime. The Hot Ginger and Black Pepper add a warmness to the scent which cuts against the freshness of the Lime. Wood normally plays a major part in male orientated fragrances, so King Wood being a note which is the last to settle on the skin, doesn't surprise me that much. Amber is a little surprising, but I love how the spiciness of the Ginger and Black Pepper settles down into the warming Amber. I also got the Shower Gel within the gift set that I received, and it embodies the fragrance, but, I feel like that the Wood is a bit muted, and, the Lime and Black Pepper come out a bit more via the product. It helps intensify the scent of the fragrance, and helps the scent last longer on the skin. I think that this would be best worn (no matter whether it is worn by a man, woman or anyone in between on the gender spectrum) in either the Autmn season, a warmish evening which is rare in England, or when you need a little pizzazz on a boring day, as it will definitely perk you up. Have you smelt 212 VIP Men? What do you think? Let me know down below! Check out Carolina Herrera Fragrances. 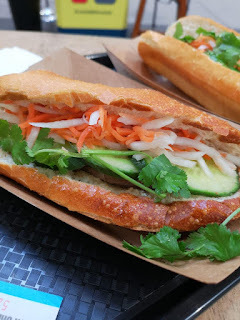 Thanks for enjoying this beauty based blog post! I hope that you come back next time for a brand new blog post.